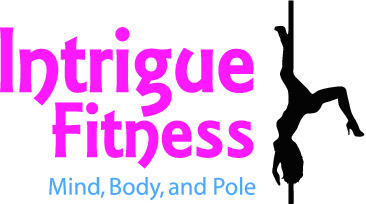 Intrigue Fitness is a tight knit community of women who can leave their stress at the door and enjoy alternative workouts in a supportive, loving environment. "One of the most fun experiences I've had in a very long time." "Let you crazy/silly side out!" "Fitness has never been so much fun!" "The best way to bring fun into your fitness!" "You don't even feel like you are working out when you're here." and tackling our physical goals together... my pole sisters :)!" We had Sooo much fun during the intro to pole class. We went out for it like it was a girls night out!!! The pole exercises were good for our core... But so were the giant belly laughs we had with each other!!! We are still talking about it. Linda was awesome and her moves were beautiful. I tried my first pole class last week and I loved it! I felt completely awkward this first time, but who wouldn't!?! (there are no mirrors and lights are dimmed so it makes the awkwardness go right out the window! Plus, Linda brings a whole comfort and confidence level to all the participants: awesome!) It was definitely fun and I'm totally signing up for the whole 8 week session! :) If it will help me build the strength it takes to do all those cool tricks, I'm in!! I also attended the Open House at Intrigue Fitness to see what all the other classes and instructors are like and I was equally as pleased. The classes are plentiful and the instructors are all energetic, friendly, and completely knowledgable in the areas they teach. I commend Linda and her staff on a well put together studio!